Don’t tell me it’s Wednesday already…. oh goodness! Where is this week going? 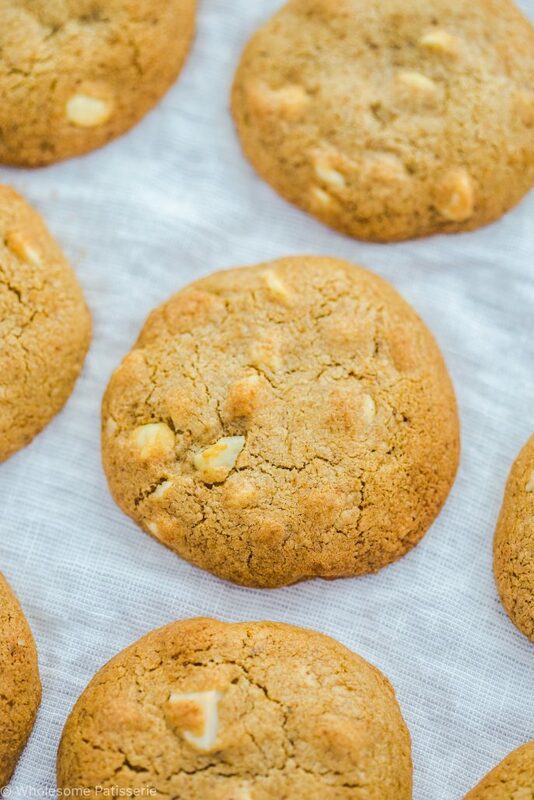 Not to worry, we have ourselves some delectable homemade white chocolate macadamia cookies! They’re gluten free too, woohoo!! I remember those white chocolate and macadamia cookies from my local supermarket and it was my Mum and I’s favourite flavoured cookie when we weren’t gluten free, like we are now. 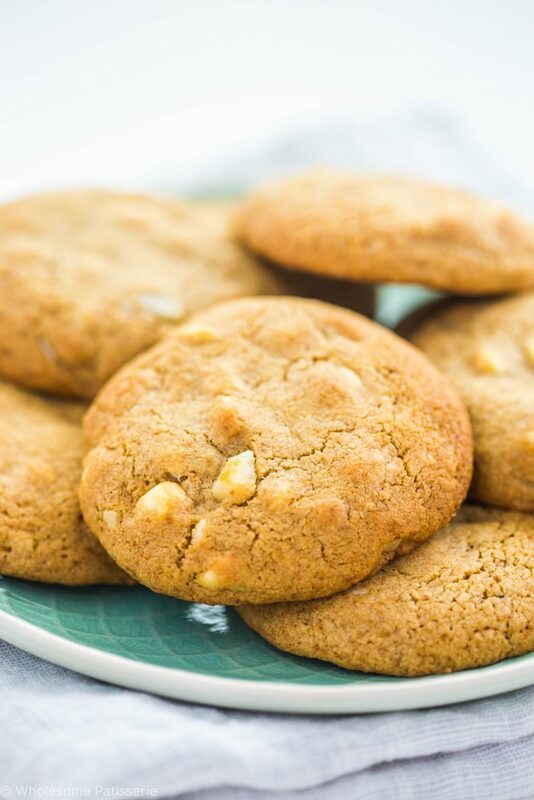 For as long as I can remember since starting my blog, I have had planned to make gluten free white chocolate macadamia cookies. It was always a struggle because I could never find the perfect gluten free flour blend to make these cookies successful. Not just these cookies though, it’s most gluten free baked goods, especially cookies and shortbread. Certain types of gluten free flour blends work well with certain types of baked goods such as cakes, cupcakes or banana breads. The heavier and more stable baked goods such as cookies, don’t always turn out as they should be. I discovered Bobs Red Mill 1-to-1 Gluten Free Baking Flour and oh my goodness…. it works so good!! *this is not sponsored by the way* ;). I just LOVE this flour blend because it makes my cookies turn out like cookies! They actually hold their shape and don’t crumble. If you don’t have this flour, I highly suggest you get your hands on it, if you want gluten free flour that is, otherwise just use regular wheat flour. 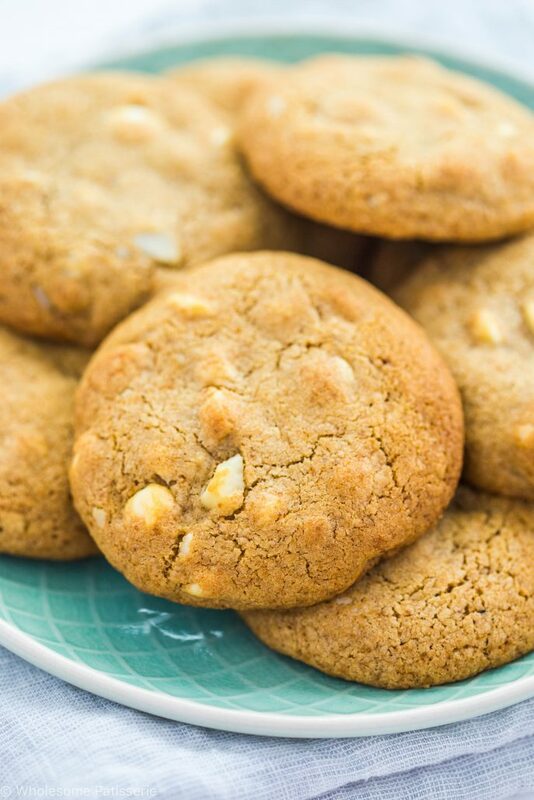 Unfortunately I haven’t tried this cookie recipe with any other gluten free store bought or homemade blend but just get your hands on a good quality one and you should be good to go! 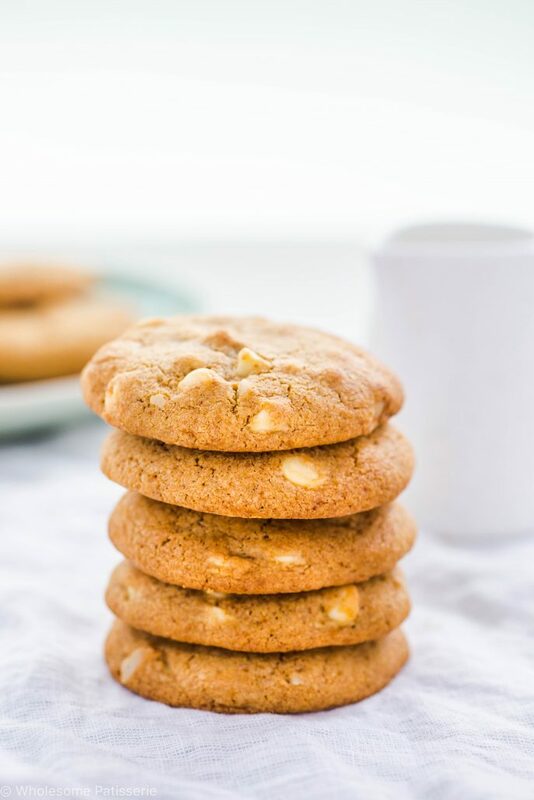 I’m in love with these delicious, simple and heart warming white chocolate and macadamia cookies. So sweet and so tasty, watch out for different flavours using this blend coming soon! Enjoy friends! 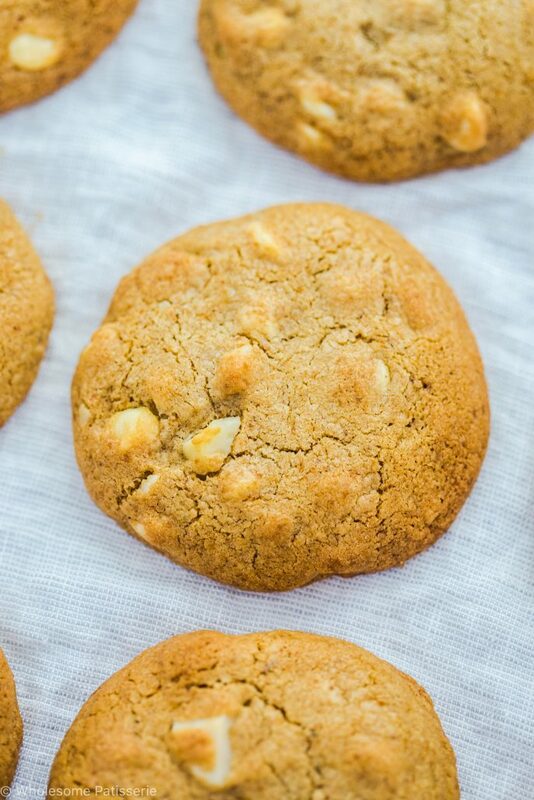 Fold through white chocolate chips and chopped macadamias. *I love Bobs Red Mill 1-to-1 Gluten Free Baking Flour in my baked goods. It works perfectly as an exact swap for regular flour as a 1:1 ratio. You may also use any other gluten free all purpose flour or any regular wheat all purpose flour. **If you would prefer a complete vegan version, replace the regular egg with a flax egg. You may also want to use dairy free white chocolate chips.